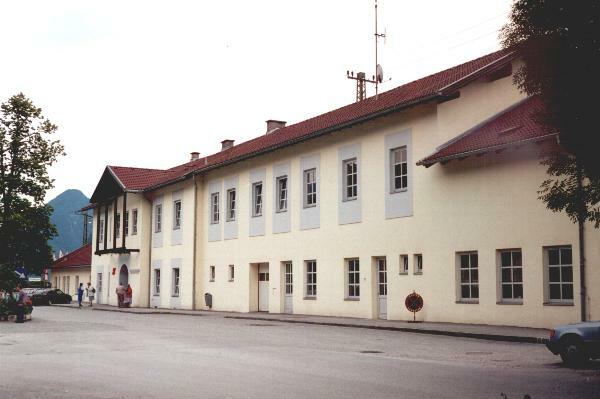 ÖBB railway station Jenbach, 21-07-1997. 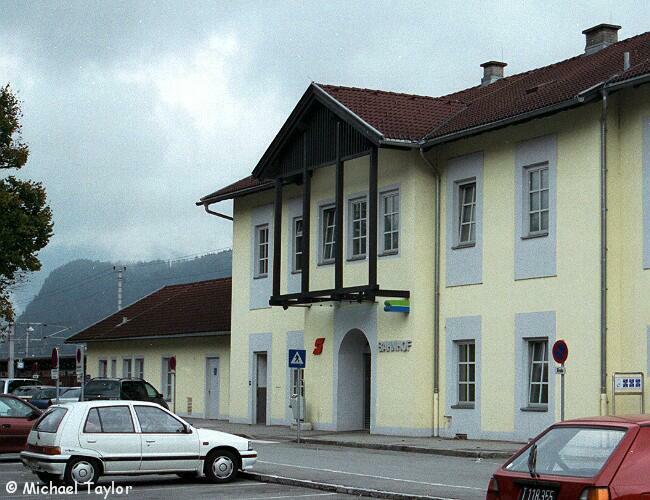 Esterno Stazione di Jenbach. A sinistra ingresso per la ferrovia turistica della Achenseebahn. 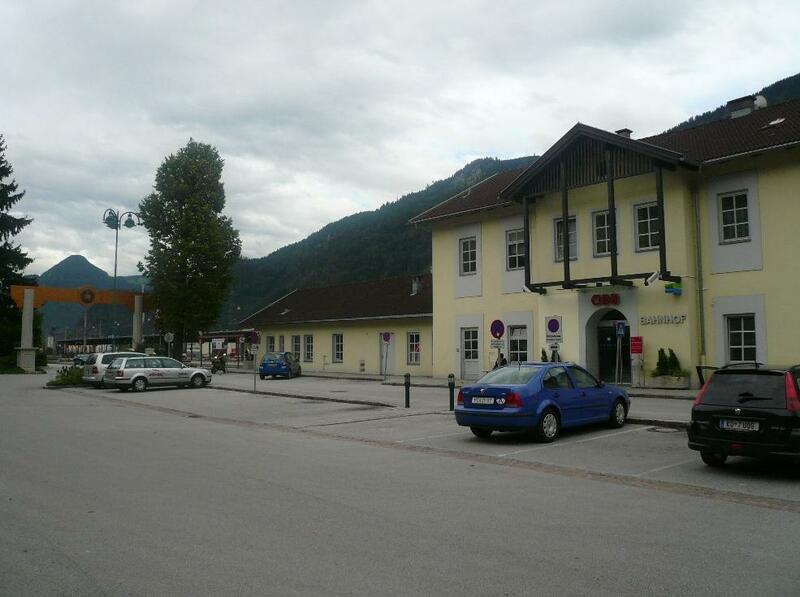 External view of Jenbach station. On the left, entrance to Achenseebahn (turistical railway). 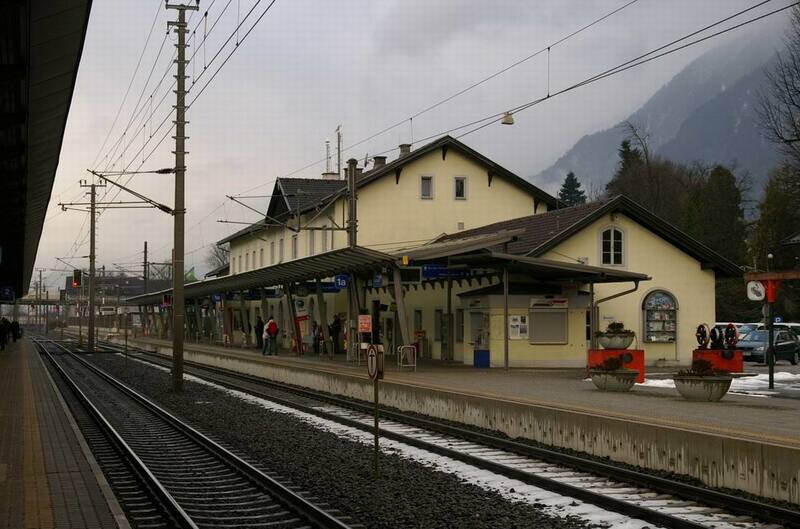 Jenbach station building, booking hall and platform one. 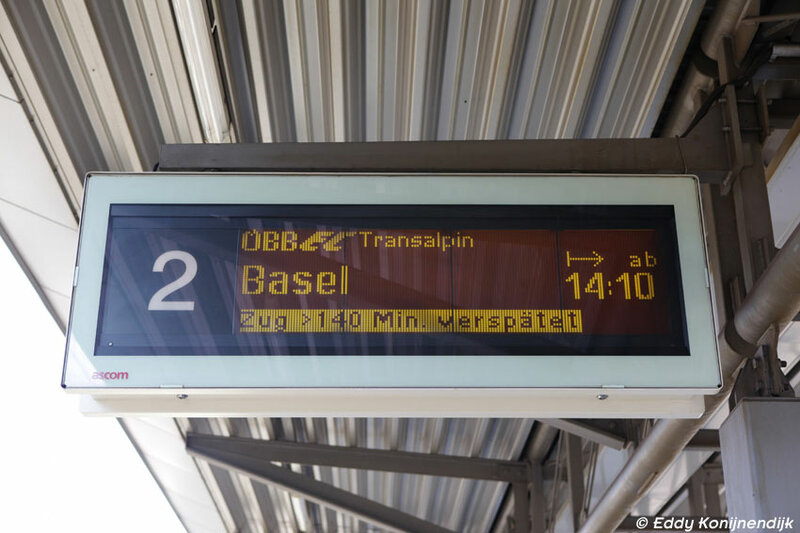 The station is the only one in Austria to have trains on three different gauges of track. Zillertalbahn with a gauge of 760mm. Achenseebahn Cog railway with 1000 mm gauge. © Adrian D. Smith. Plymouth, England. Monday morning September 23rd, 2002 and the weather is rapidly deteriorating at Jenbach. 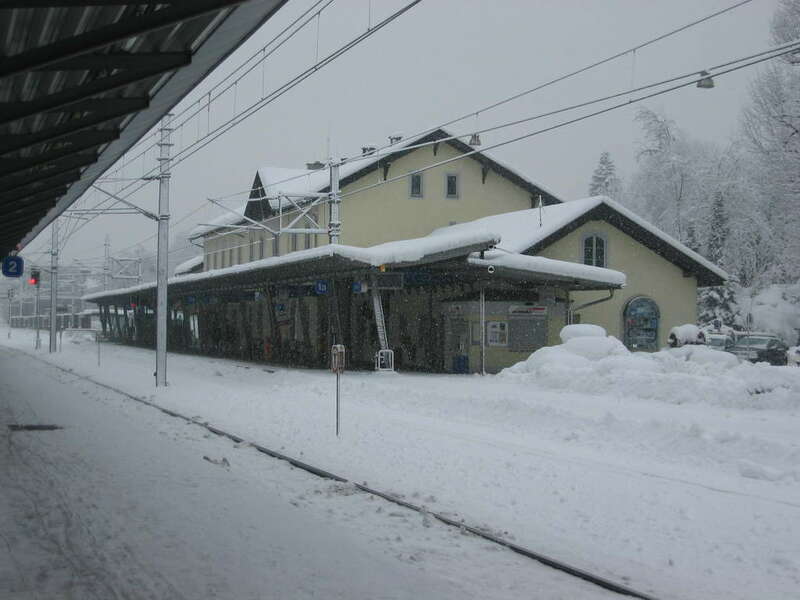 Jenbach has 3 stations, this is the mainline station of the ÖBB, the others serve the Achenseebahn (on this side of the mainline) and the Zillertalbahn on the other side.